Happy Easter from the Red Coach Inn! 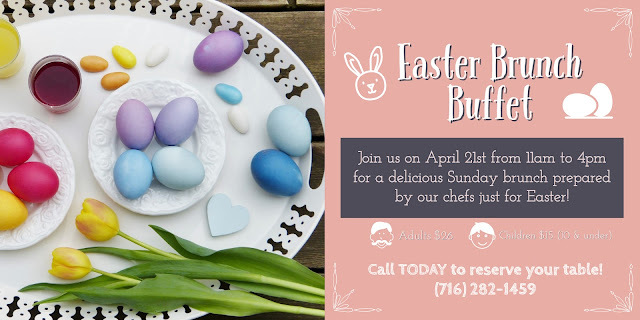 Join us as we celebrate Easter this April 21st, 11am to 4pm, for a delicious Sunday brunch. Our buffet spread includes a wide selection of breakfast and lunch menu items like creamy cheese-filled crepes with strawberry toppings and a prime rib carving station. 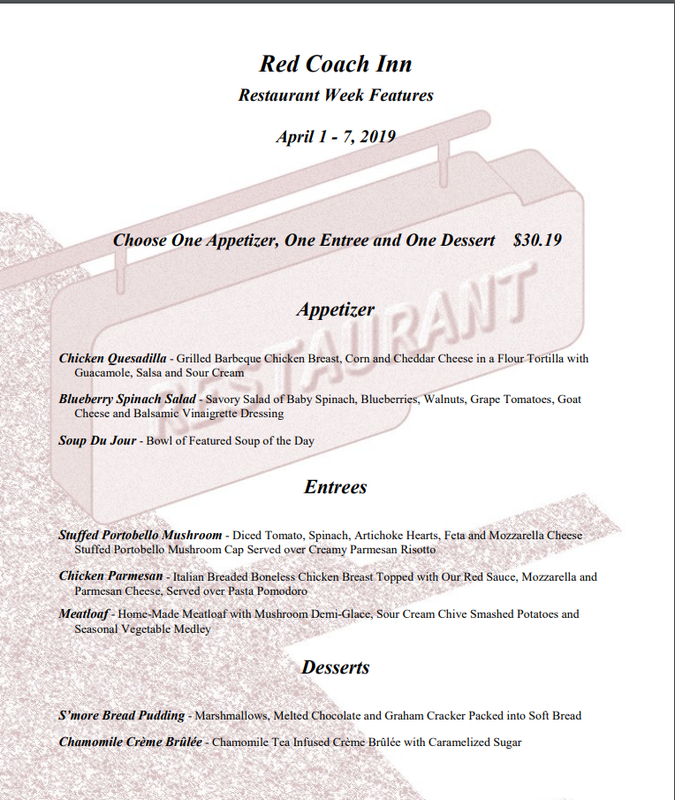 View to complete menu below and call us for table reservations at (716) 282-1459. Hurry, seats fill up quick! See you then! The Red Coach Inn will, once again, be part of this year's Local Restaurant Week! WNY Local Restaurant Week continues to celebrate the vital role of independent restaurants in Western New York's food scene and we are proud to be one of the nine restaurants in Niagara Falls who will be offering a scrumptious menu to feature all week. Our chefs have prepared a mouth-watering menu featuring appetizers, entrees, and desserts that you get to choose from for one great price of $30.19! 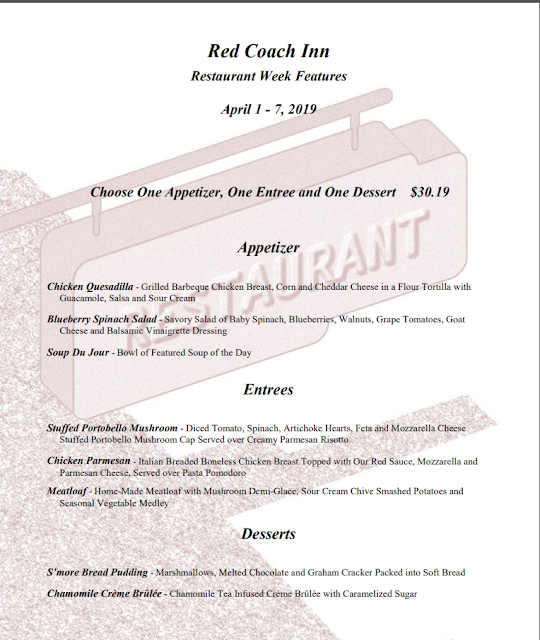 Click to enlarge our Local Restaurant Week menu below. For table reservations, please call us at (716) 282-1459. We look forward to serving you and celebrating local restaurants with you this upcoming week!